Are you tired of all that stuff scattered around your home? If you have too much stuff and not enough places to put it, then it might be time to consider a storage unit so you have a place to put everything you don’t really need away in. From extra furniture to clothes and appliances, storage units are the perfect places to put things you want but don’t have room for in your home. But if you’ve never used a storage unit before, it might be hard to find the perfect one for you. In today’s blog, the storage experts at Just Store It! in Kingsport will go over what you should look for when you’re shopping around for your storage unit. 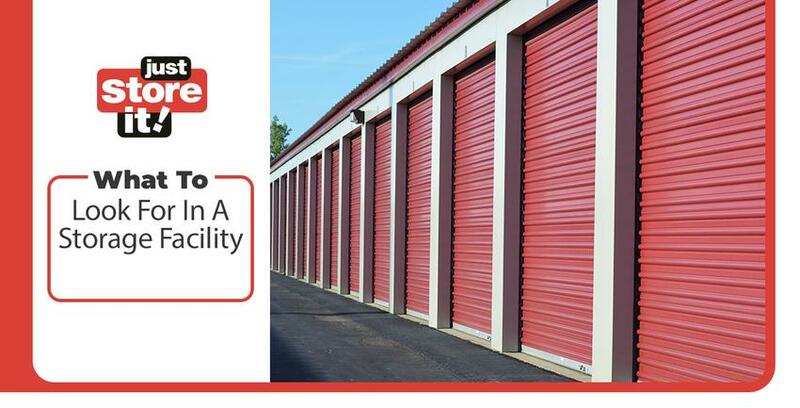 When looking for your new storage unit, you’ll want a facility that’s close to your home or apartment. This way, if you need to drop off, pick up, or exchange anything in your unit, you won’t have to drive halfway across the state in order to do so. In a perfect world, your apartment or home would be able to store everything you own and still have room for more stuff, however, that’s not always the case in the real world. Having a storage facility that’s close to your home is the next best option. This way your stuff is close by but still out of your home so you have room to live and walk around during your fancy dinner parties. Space, not only is it the final frontier but it’s one of the first things you should look for when you’re trying to find a storage unit. You’ll want enough space to hold all of the stuff you plan to put in it, but you don’t want to rent a storage unit with more space than you actually need. If all you plan on putting in your storage unit is a few boxes of collectable beanie babies and a rug that really ties the room together, then you’ll probably want to rent a smaller storage unit. But if you’re going to be putting an entire dining room set and more in your storage unit, then you should probably look for one that has more space. When you think of amenities, you may think of high end apartments that give their residents free giraffes on their birthdays. However, when you partner with a good storage facility, you’ll also receive some great amenities as well. Security, such as 24 hour security camera use and on-site management, is just the tip of the iceberg when it comes to amenities for storage units. Gated entry, climate control, fire detectors, and even online bill pay are just a sample of some of the other amenities you’ll find at the Elizabethton Just Store It! facility. When you look for a high-quality storage unit in Elizabethton, look no further than the storage facility at your local Just Store It! Learn more about Just Store It!, see what kind of amenities we can offer you, or contact Just Store It! in Elizabethton to answer any questions you may have.